The newest generation of wireless technology after 4G is called 5G. This next generation technology is almost upon the world with all its revolutionary innovations. However, several analysts argue that the 5G tech is already here. The point they all agree upon is the life-changing capability of the 5G tech. The tech industry wants 5G to be successful. Verizon claimed to be the first major telecom company already poised to start 5G field tests three years ago. Ever since then, the hype for 5G has only been building. Speculations have been all over the place. Some refer to it as the tech that will have the ability to supercharge the future of tech. Some of these aspects of the future in tech include self-driving cars, telemedicine, and virtual or augmented reality. The 5G is the fifth generation of cellular technology. This new tech guarantees immense contributions towards increasing speed, responsiveness, and coverage of wireless networks. This increase in speed can be from ten to a hundred times that of the typical cellular connection of today. The speed a fiber optic is capable of bringing directly to one’s house today would not be able to compare to what wireless 5G has in store. The primary perk, however, is not only the speed promised by 5G. It is also the concept of low latency. Latency is the response between the moment the user clicks on a link or starts streaming a video all the way to the request going to the network responding and the website finally loading or the video finally playing. With current networks having the relatively better technology, the latency is 20 milliseconds. 5G will most probably lower it bringing it to an even 1 millisecond. Conversion of a wireless connection into a virtually lag-free is extremely important for applications. These include self-driving cars who would now be able to communicate. Video games or surgeons controlling robotic arms to perform surgery online are similar areas of application. 5G first used super high-frequency spectrum with shorter ranger but higher capacity. This would deliver a huge pipe for online access. However, with the range and interference issues, the 5G carriers are now looking for lower frequency spectrum. In today’s networks, the connection ferries 5G across greater distances and through obstructions like walls through lower frequency spectrum. The consequence of using a lower frequency spectrum is that the initial claims of speed would probably be impossible now. However, it would still be a huge advance compared to today’s 4G LTE. Verizon launched the first 5G service of the world in October. Right now, it is merely a broadband replacement. However, we should expect drastic improvements shortly. Previously rumored and now confirmed, OnePlus is going to launch a 5G phone sometime next year. Sources at GSM Arena tell that the phone is going to cost around $650. OnePlus is going to be the first company providing 5G phones next year. Moreover, the chipset that the company is going to use is going to be Snapdragon 8150 and the X50 modem under the hood as the rumors would have it. What we do know for sure is that the company’s 5G phone is not going to be called OnePlus 7. Apple is going to launch its 5G phone in 2020. According to the Fast company, the tech giant is going to be using Intel’s 8161 5G modem chip. Apple has moved away from Qualcomm because of the chipset’s heat dissipation problems. The company was also rumored to be in the talks with MediaTek for a 5G modem, but of course, the company working with Intel put an end to such grapevine. Coming back to Intel, the company plans to improve the transistor density of the chip by using its 10-nanometer process in the 8161 chip. It is primarily for this reason that the company is currently working on 8160 to act as a prototype for 5G phones. A lot of anticipations are attached with Samsung Galaxy S10. Samsung is set to introduce the newest member of its Galaxy series in Mobile World Congress, 2019. We are expecting that we’d at least hear about the company’s plans about 5G it’s Galaxy S10 is not the company’s 5G enabled phone. Whether Samsung gets to be the first smartphone company to become South Korea’s 5G services’ customer or not, we are still not sure. Back in Shanghai during the Mobile World Congress 2018, the company revealed that it would be introducing its first 5G enabled phone in 2019. We aim to build a robust 5G ecosystem through fair and open collaboration. Xu, in his keynote speech, made it clear that the company is going to follow the FRAND principle (Fair, Reasonable, And Non-Discriminatory) for 5G standard essential patents. Further, the company’s first 5G enabled smartphone will also be foldable. Surprised? So are we. Nokia has decided to bring its A game to the 5G race. The company announced its patent licensing rate for 5G smartphones ($3.50 per smartphone). Looks like the company wants to play its part in the development of the 5G network. US operator Sprint and LG have come together to work on a 5G enabled smartphone. The phone is expected to be released sometime in the first half of the next year. The details are yet to be unveiled. Motorola, Verizon, and Qualcomm have worked out the world’s first 5G data transmission to a smartphone on a commercial 3GPP 5G New Radio (NR) network. 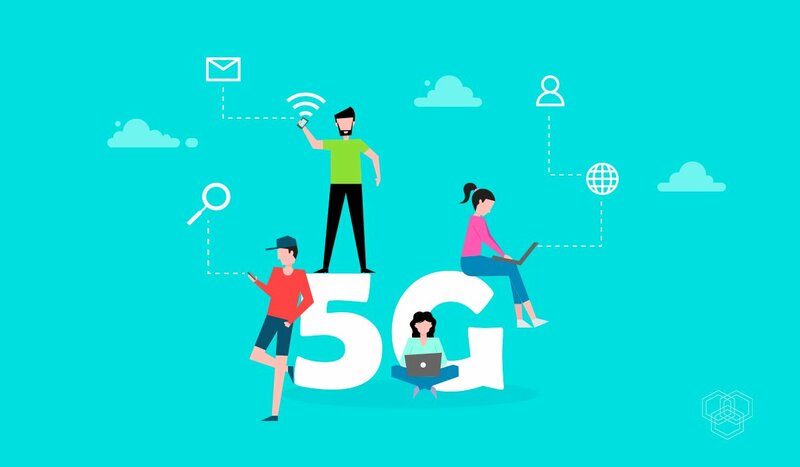 Verizon – in partnership with Motorola, Samsung Electronics America, Inc. and Qualcomm Technologies, Inc., a subsidiary of Qualcomm Incorporated – completed the world’s first 5G data transmission on a smartphone on a commercial 3GPP 5G New Radio (NR) network. So, we can expect a Moto Z3 earlier next year equipped with 5G, powered by Qualcomm, and Verizon being its network provider. In a nutshell, the coming two years are going to be huge for the 5G networking. Almost every smartphone brand is working on a 5G project. Let’s see how the most promising network turns out to be.